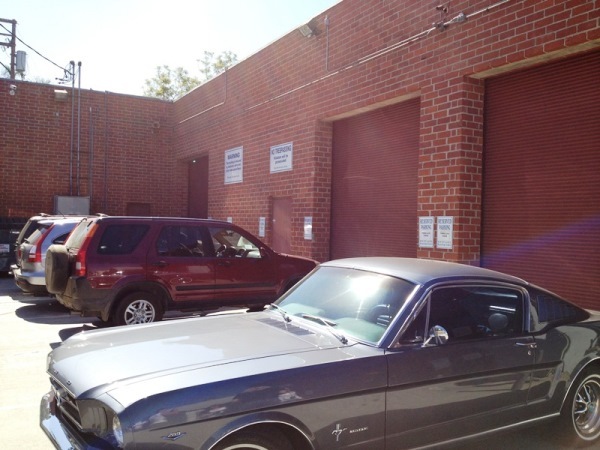 The back lot of the studio looks entirely ordinary, but the moment I saw it, I vividly pictured Michael clumsily parking here in his Chevy Blazer, hitting the cars around. At first, I didn’t see any other people and thought I might be the only one attending. But then I noticed a minivan that was already waiting in the parking lot, and it turned out to be nearly packed. 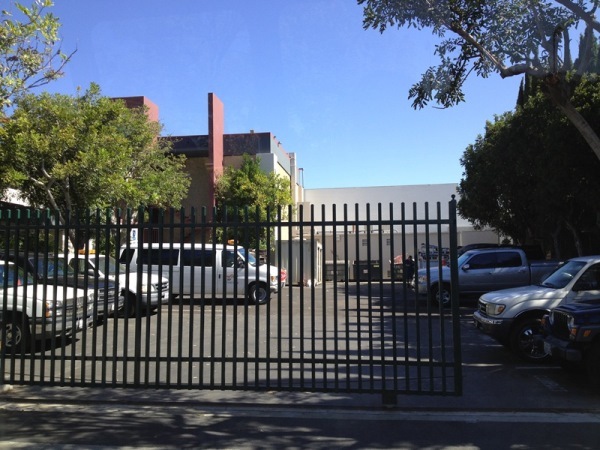 With the complete group of 13-14 people, it took off towards the first historical building of the Westlake Studios on Beverly boulevard. 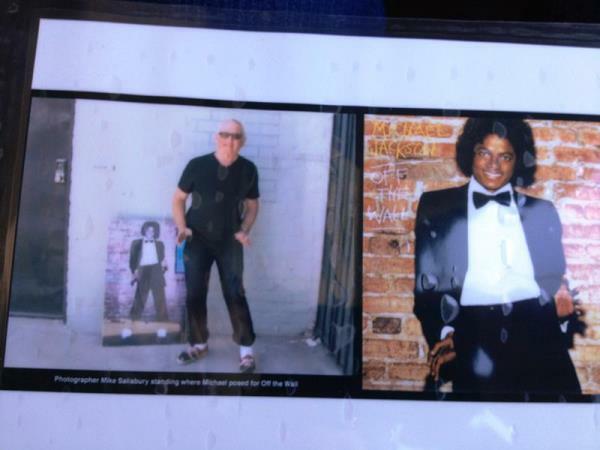 The group that gathered in the van consisted mostly of middle-aged fans some of whom followed Michael since the early days of the Jackson 5 career. Some people remembered seeing Ed Sullivan show on TV, others — going to Triumph and Victory shows. One lady claimed that she had attended concerts from every single tour Michael had in North America. 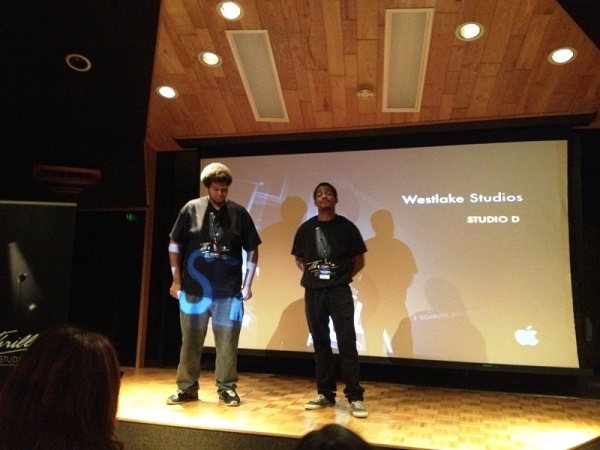 The studio tour had two guides: Roy, a Westlake Studio employee, and Cory, a fellow fan. 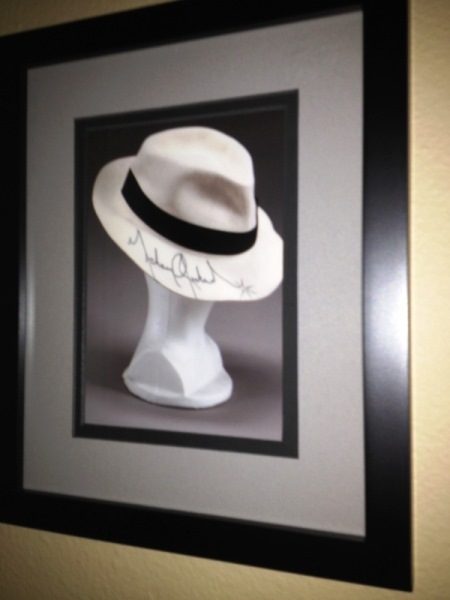 Cory is a fan of Michael since childhood, a collector and an activist: he contributed to For The Record book by Halsted and Cadman, and is one of the admins of The Michael Jackson Archives facebook page. A lively and enthusiastic guy, he was asking each of us where we saw Michael, which records were our favorite, etc. During the trip we all discussed books, youtube videos, and other MJ stuff. Everyone kept saying how amazing Michael was and how his every song and performance were timeless. 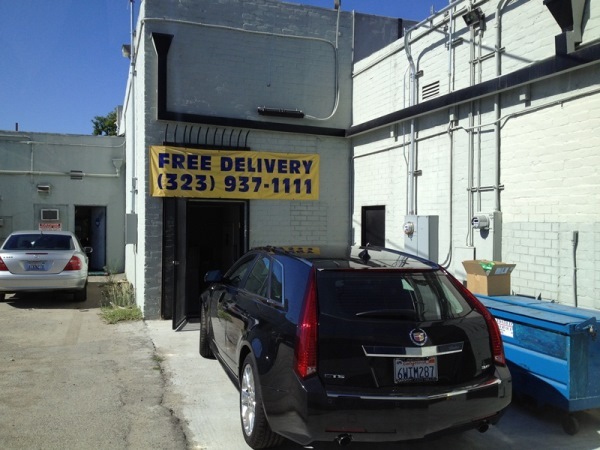 Finally, we are arriving at Westlake Studio A on Beverly boulevard, a single-story building painted plain white and brown. 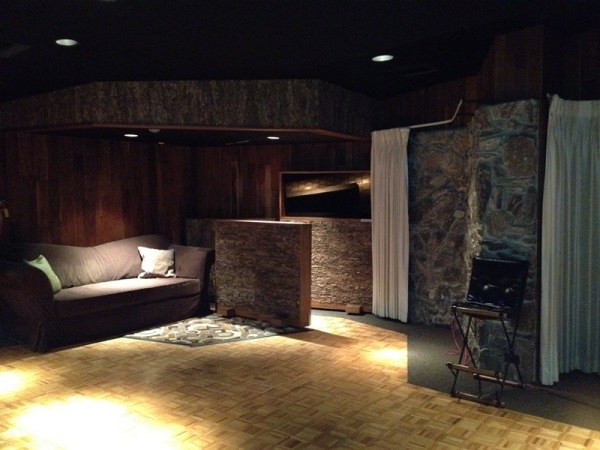 This is the very studio where Michael Jackson recorded the two albums that changed American music: Off the Wall and Thriller. By the look of it, you’d never tell. 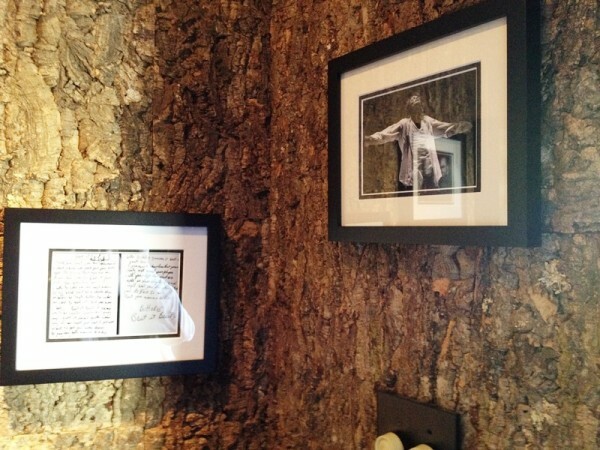 At the entrance, the staff of the Westlake studio greets us warmly and promises unforgettable experience. Videotaping is not allowed inside; however, we are encouraged to take photos. Unfortunately, it is pretty dark in the studio (baring one’s soul in a song is an intimate process), so many of my photos came out blurry. But I managed to capture the most important things. 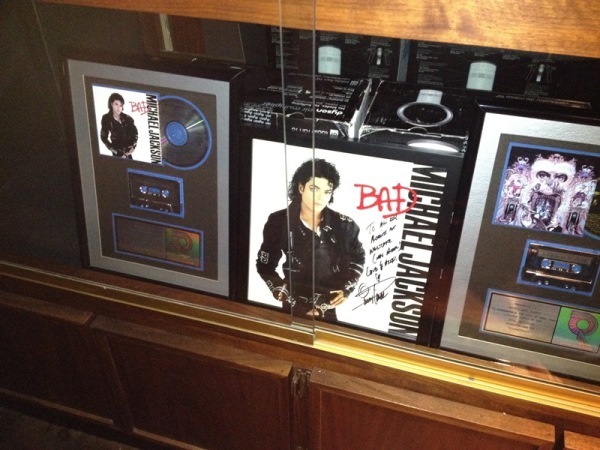 In the foyer near the door, there is a display of platinum records, some of which are Michael’s. 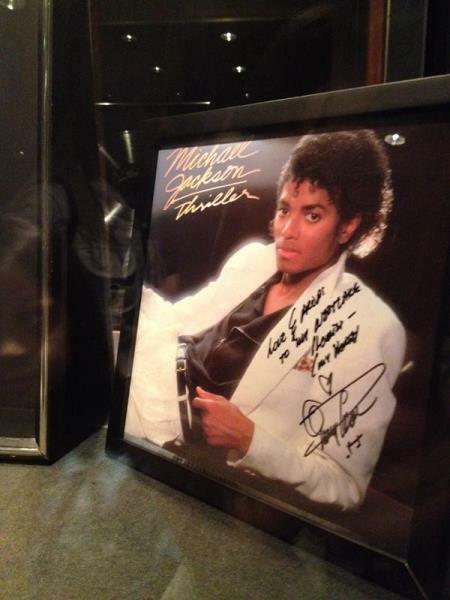 Beyond that — from the front door and throughout the whole studio — the walls are covered in his memorabilia. 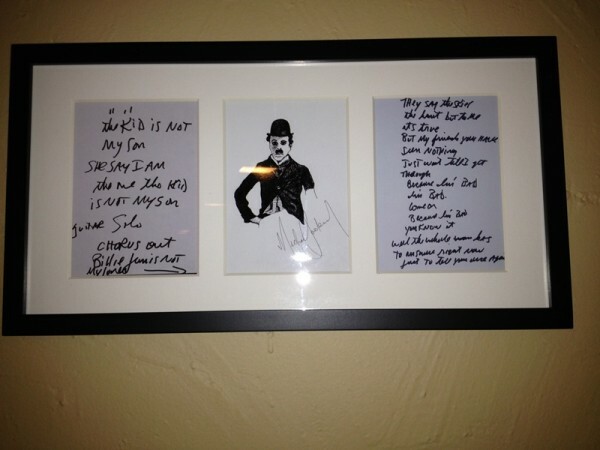 His photos, his drawings, his handwritten lyrics. Everywhere you look, you see Michael, Michael, Michael… The halls of the studio are narrow and it’s hard to capture a broad view. Below are a few select close-ups that came out in decent quality, to give you an idea. 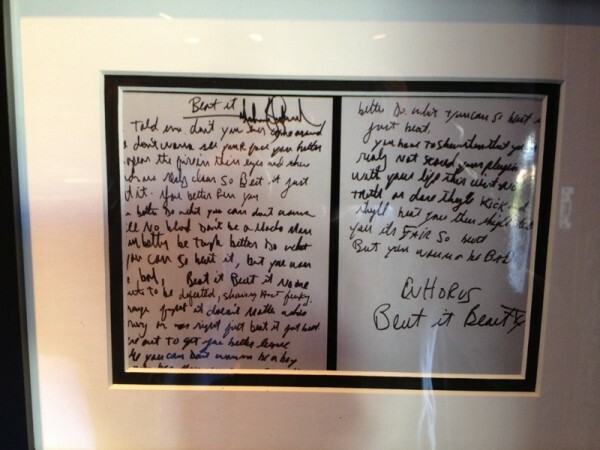 «The Wall» composition is a gift from Quincy Jones. In the main hall, we are offered to watch a short video about Michael’s work with Quincy. Nothing new there, a montage of the known OTW/Thriller footage. 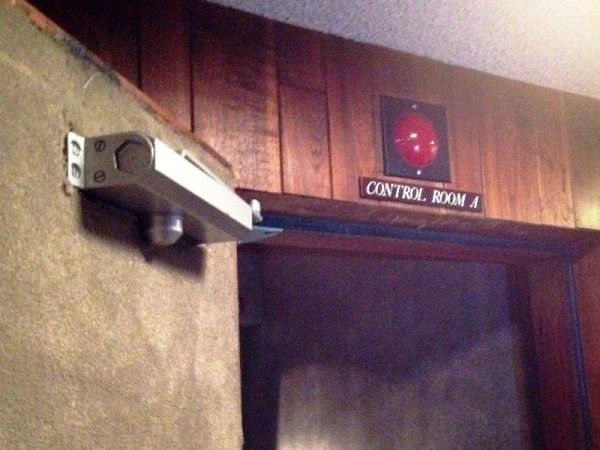 Entering the control room. 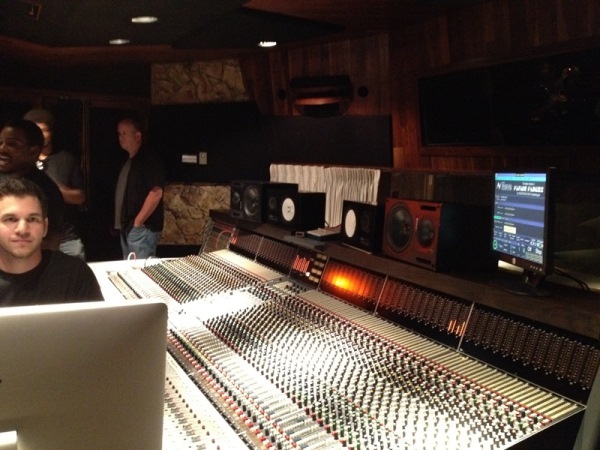 This is the room where the musical director and engineers record and mix tracks. Here, we are welcomed by friendly engineer Ben. 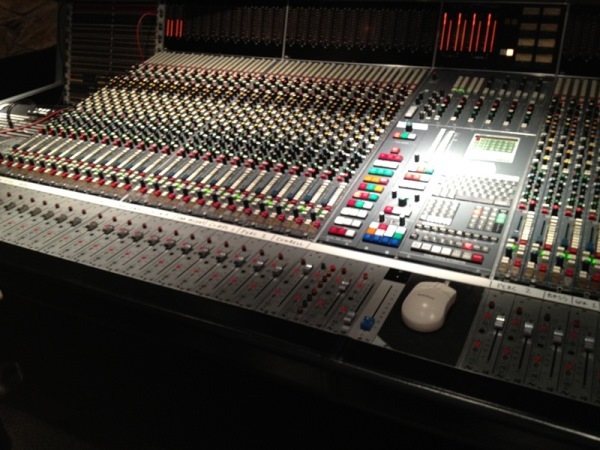 He is going to show us how to work with a mixing console. 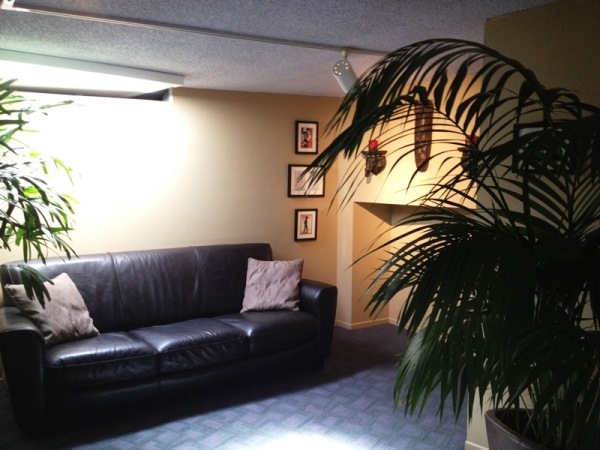 The control room is tiny, and as you can see on the photo, its walls are not rectangular. This special design is intended for better acoustics. 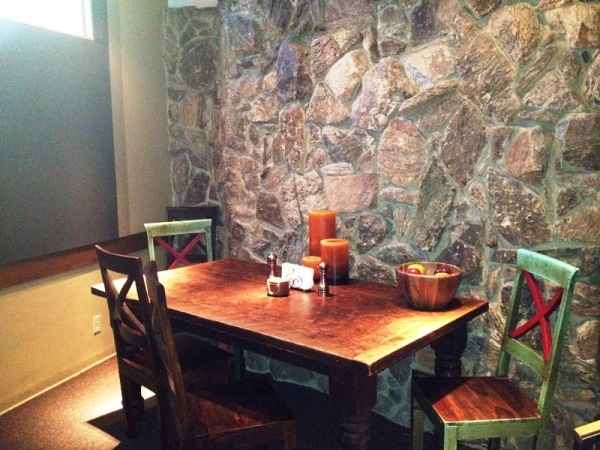 Sound speakers are attached to the walls along the room perimeter. 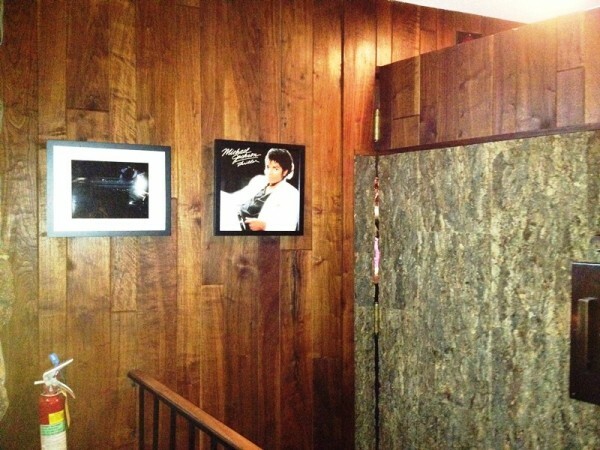 You can even notice speakers on the ceiling — they were mounted there specifically for Quincy who liked to listen to the mix while settling back in a chair, facing up. Across the mixing desk, behind the window, is the singer’s vocal booth. 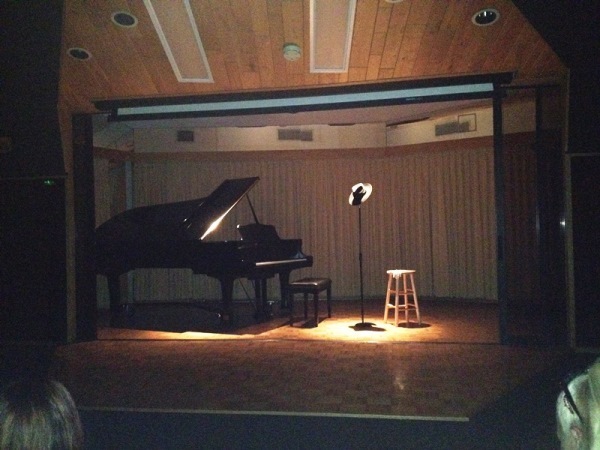 The acoustics in this room are nothing short of spectacular! The first thing they did when we entered the room was blasted «Thriller» at full volume. Because the room is so small and soundproof, you are feeling the music as if it’s been playing inside of you. Right there, at that moment, I understood why Michael loved his music extremely loud and how a good mix could make him dance. I’m not a musician or a dancer myself, but even I couldn’t stand still there. For Michael, who was dancing to sounds of a washing machine, this was the only natural way to respond to music that was genuinely good. I felt how he was hearing his own music. It has nothing to do with how it sounds in iPod earplugs. When «Human Nature» began, I felt like I was being whisked to another universe. Then Ben switched the track to «Black or White» a cappella, and I forgot to breathe. 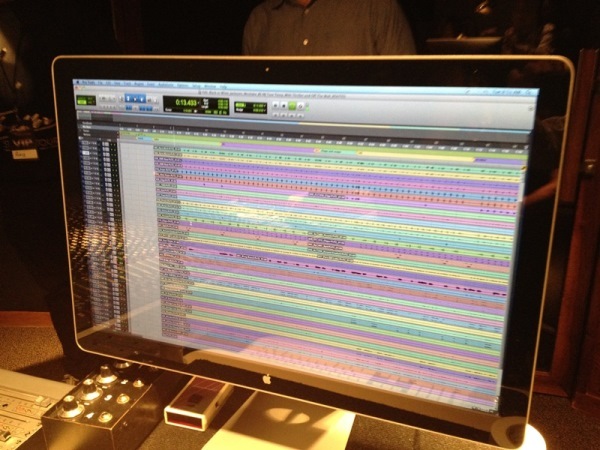 You see, it turns out they have some of Michael’s songs in multitracks. A multitrack is a set of individual vocal and instrumental parts that can be laid out on the mixing console and used to make different mixes. This was what Ben did — he wanted to show us how to mix a song, so he tuned out all parts except the lead vocals and then began adding instruments one by one, and the rap and the backgrounds. The a capella vocals sounded simply fantastic, and I would have been grateful to just listen to them alone for a few minutes. But it wasn’t for me to decide. Instead, Ben let all of us play with the console, turn handles and push buttons on it. It looks pretty scary, but you can master it easily — all you need to do is move those sliders in the bottom. They even have sticky notes with tips about which part each slider corresponds to. I left this room in awe of these friendly people who were laughing so causally while owning immeasurable treasures. 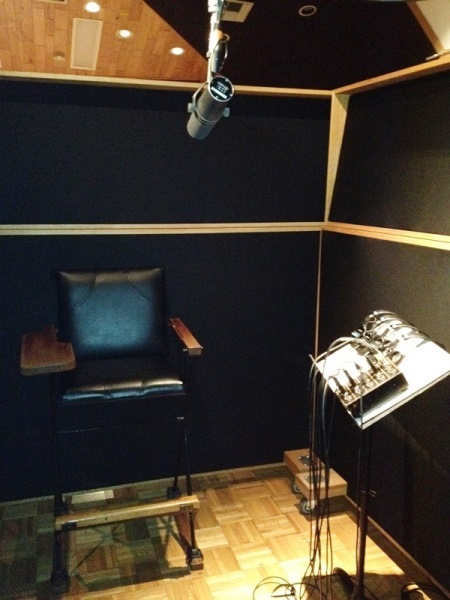 Then we went to the adjacent room with the vocal booth. 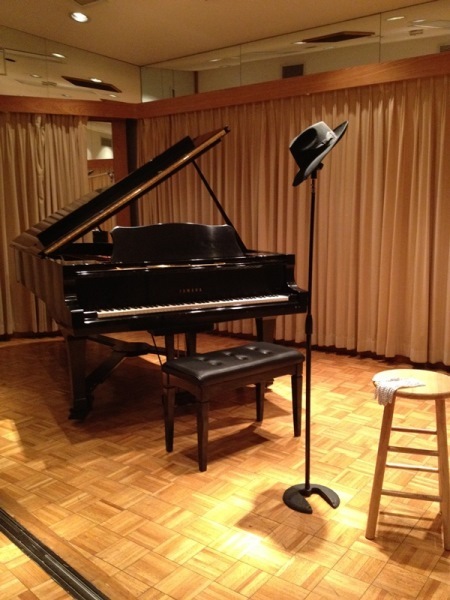 This chair, they say, has been standing here virtually since the times of Michael’s recordings. 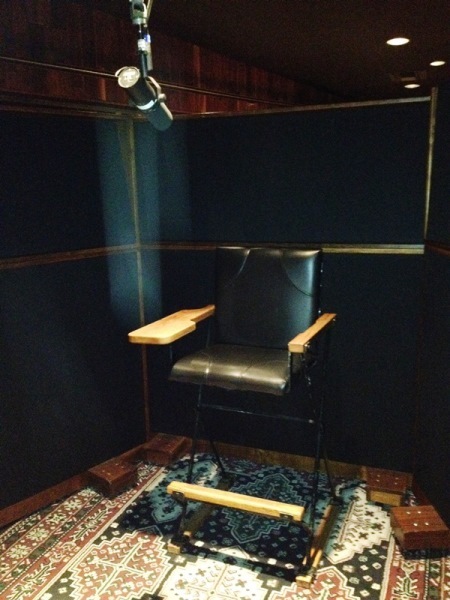 And they allow you to sit in it, take photos in front of the mike and even sing along to music in the headphones. I don’t usually like to pose for photos, but here even I couldn’t resist, because how could you? He probably sang «She’s Out of My Life» in this chair! 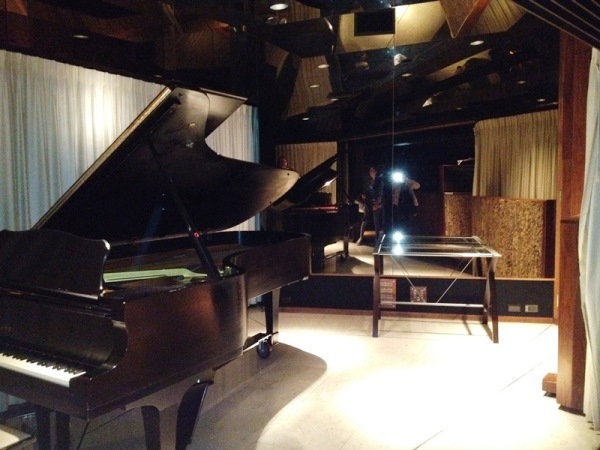 This is the very piano on which MJ and Paul McCartney played «The Girl Is Mine». At this point I was ready to go down on all fours and touch the floor these people walked on. But hold on, there’s more. 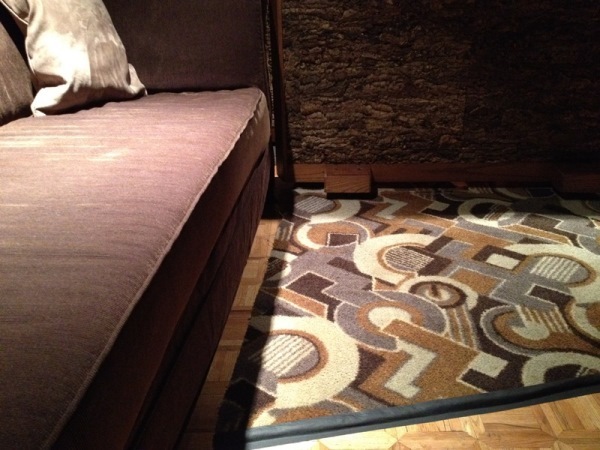 See this shred of a carpet near the sofa? No, this is not someone’s twisted design idea, this is the real carpet that Michael and Quincy walked on when they worked on Thriller. The carpet got worn out, you see, and it was time to throw it away. But you wouldn’t just throw away a historic artifact like this, would you? So they carefully cut a piece and kept it as an exhibit. This was the point where I forgot all manners and crawled down to feel the thing with my own hands. 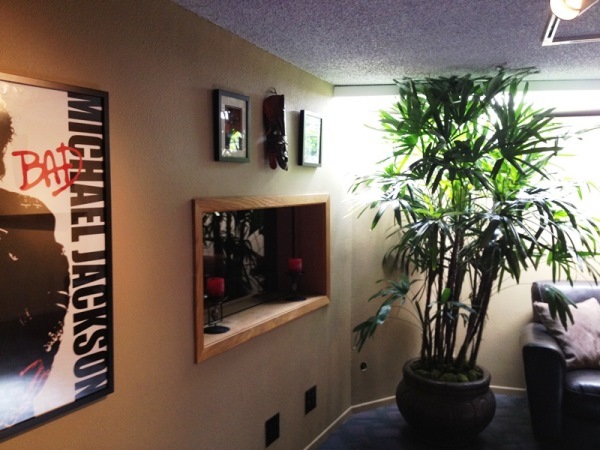 Before leaving Studio A, near this poster, Cory asks everyone in the group which of Michael’s albums we would take with us to a deserted island. He says, the most popular answer is Invincible. Perfect music for an island, isn’t it? Driving back to Studio D on Santa Monica. 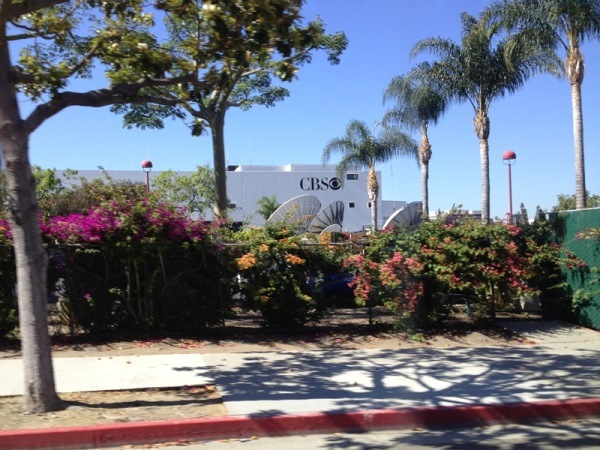 Passing the CBS building where Michael gave an interview to Diane Sawyer. Remember them walking out of the sound stage and him talking about being shy? It happened right here. A brief stop at this back-alley on one of the side streets. What for, you might ask? Apparently, here, under the «Free Delivery» banner, there is a great historic attraction related to MJ. Guess what it is! 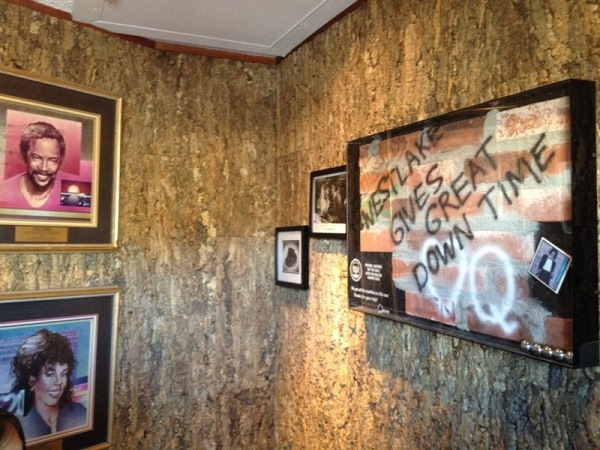 This unremarkable wall is the wall from the Off The Wall album cover! The owner of the property, who apparently is oblivious to culture, bluntly painted over the historic heritage with ugly grey. 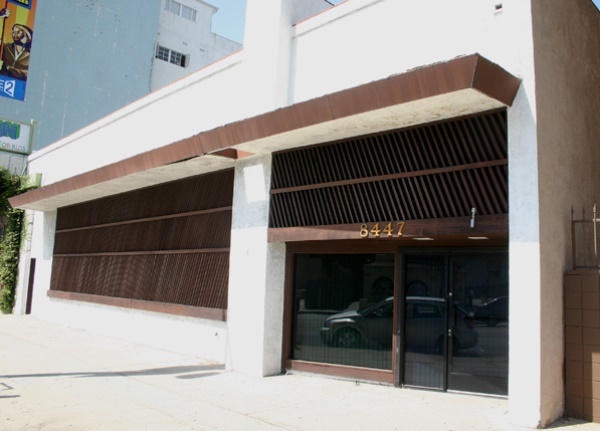 Passing the original building of Motown Records in Los Angeles. This was were The Jackson 5 recorded most of their songs. 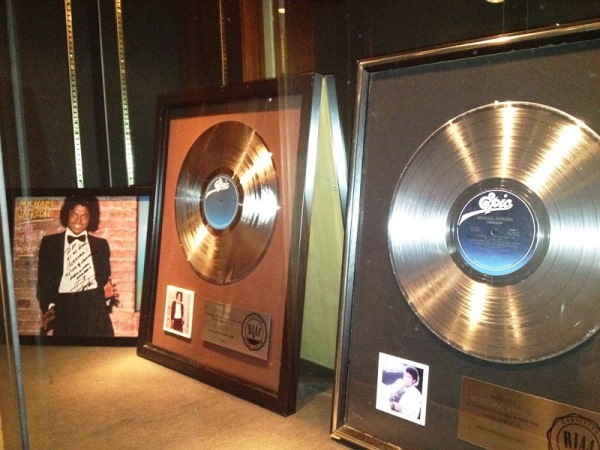 The building still belongs to Motown Records today, but artists don’t work here anymore. Across the street from the Motown building, there is a park. Remember that part in Moonwalk where Michael remembered how he often used to look at kids playing in a park across the studio and wish he could join them when he had to work? This is the park he remembered. 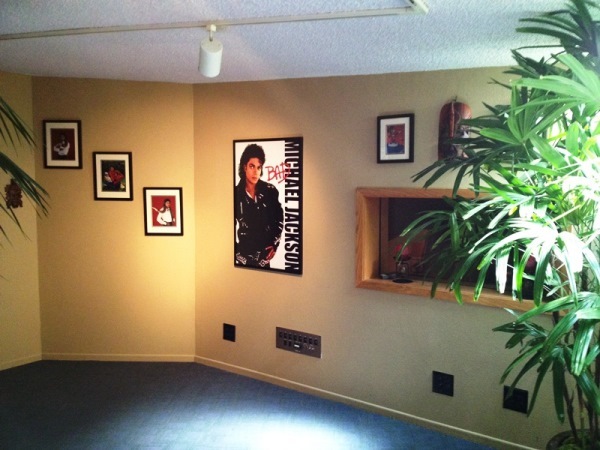 Arriving at Westlake D. In this studio, MJ and Q mainly worked on the Bad album. This building was constructed shortly before they moved in to work on the record, and it was designed with Michael and Quincy in mind. They were the main tenants of the studio, so the layout, the furnishing and the equipment were chosen to meet their needs. And with that, Westlake D set a standard in the industry. 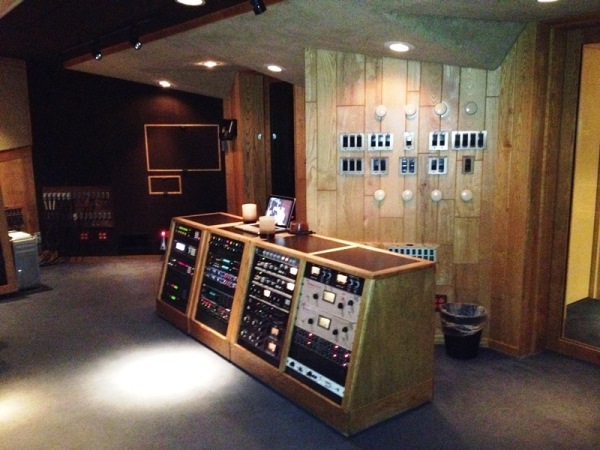 After it was build, other recording studios used the same blueprints. Michael’s records with Q’s autographs meet us right at the entrance. 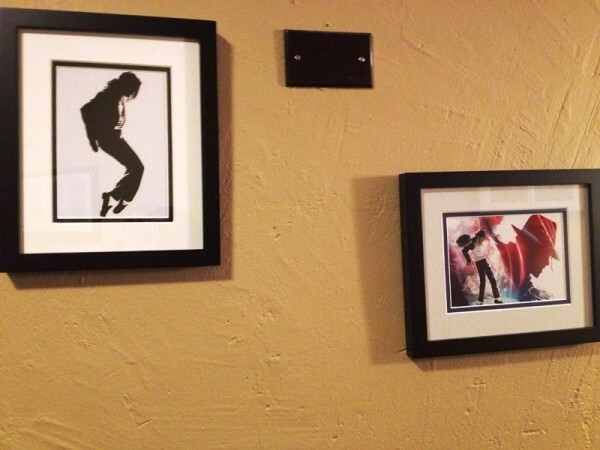 Walls are covered in pictures of Michael again… Someone asked skeptically when had these photos appeared, suggesting that maybe it was done just to please the fans and ride the trend of the posthumous love for Michael Jackson. «Oh no, most of these pictures have been here for years…» replied Roy, remembering which of them were the earliest. «Of course they have. 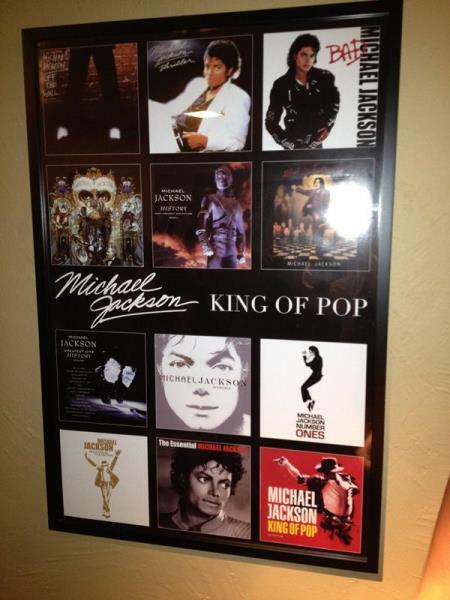 All these rooms exist because of Michael.» Michael is the deity of this place. The way people cherish his memory… It’s hard to even describe. So, we saw that room. Very modest, no luxury, no splendor. The window, indeed, looks over the recording room downstairs. The stage in it was built specially for Michael, so that he could practice dance moves in between the sessions. 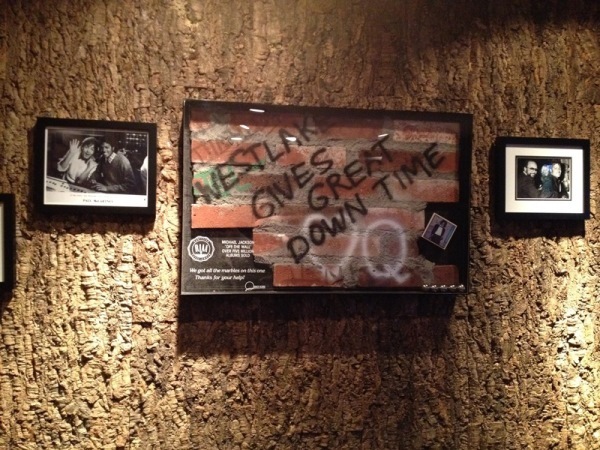 Westlake D’s control room. 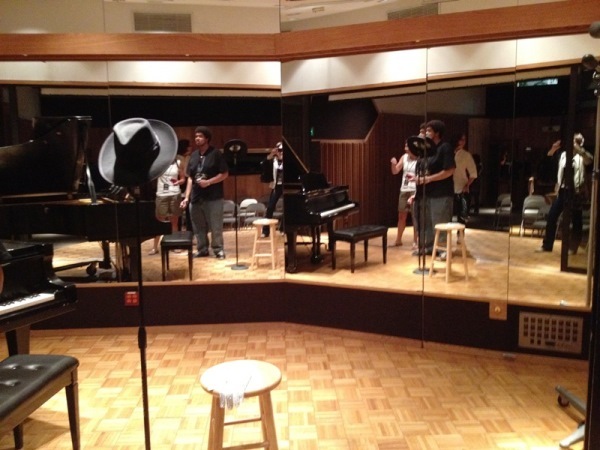 It looks very similar to the one at Studio A, only a little larger. This time Ben, who came here with us, decided to play the same game with the multitrack for song «Bad». When he started the playback of an a cappella at the top volume, I felt tears in my eyes. It’s simply fantastic — you can hear it all: Michael’s finger snaps, his stomping, and even the feeble «bleed» of music that the mike is catching from his headphones. And then you add instruments to it one by one: the guitars, the horns, the claps from that bathroom. There are so many little things in the song that you suddenly begin hearing! 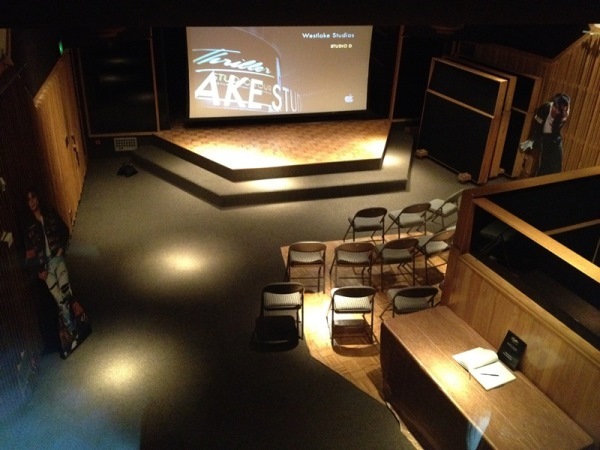 The tour ended in the large room with the stage and the film screen, on which we were invited to watch a collage of Michael’s short films. By this time the emotions where barely contained. The video ended with «You Are Not Alone.» The screen was rolled up, revealing a set-up similar to Spike Lee’s «This Is It» video… All of us where in tears. They even had a box of Kleenex conveniently prepared — this emotional effect was carefully orchestrated! 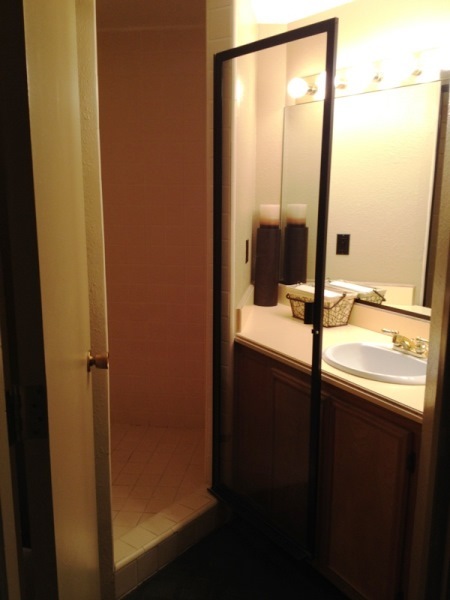 At the back of the stage, behind the curtain, there is a mirror, of course… A dancer’s stage. I asked Roy what happens with the studios today and what their plans are for the future. He said that both buildings are working. 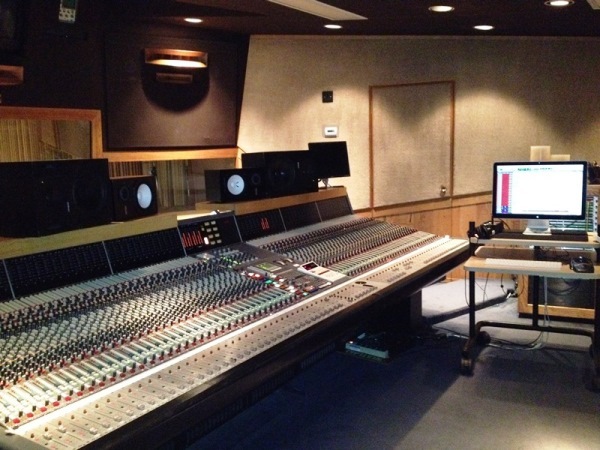 The studios have state-of-the-art equipment, and the studio time is very expensive. That’s one of the reasons why the tour costs its money — they obviously cannot rent out the studio to musicians for the time of the tour. 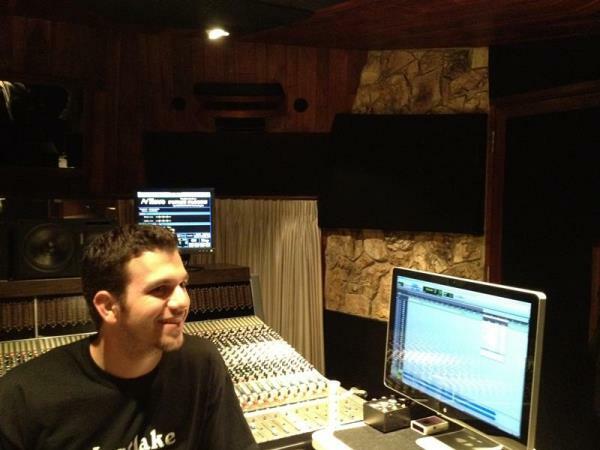 Westlake studios have seen many popular artists from Rihanna and Ne-Yo to Justin Bieber. 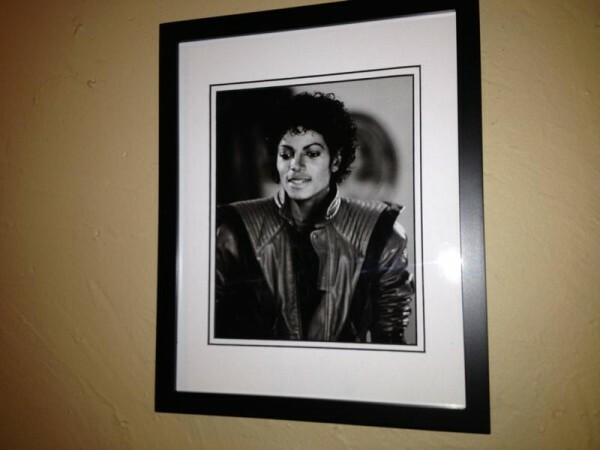 Roy says that when artists come here to work, the first thing they all ask is to see Michael’s room. 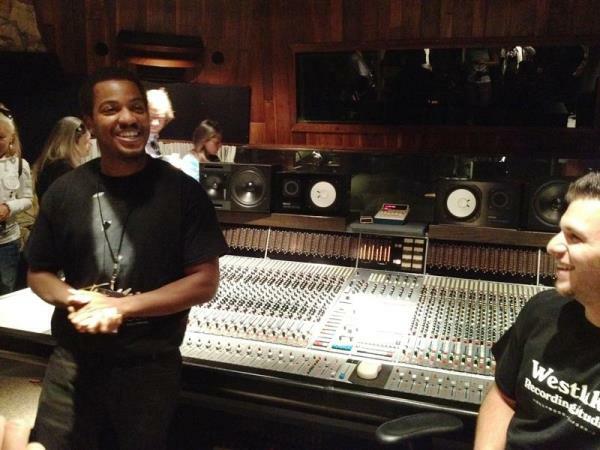 The thought that he worked here on one of the greatest records of all time is inspiring. 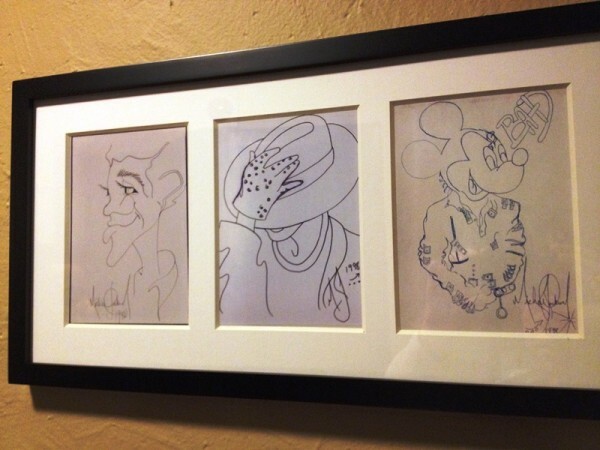 This is the first year when the studios opened doors for general public. Before they had only conducted a few private tours for fan-clubs. I can honestly say that the tour absolutely lived up to all the promises and expectations. 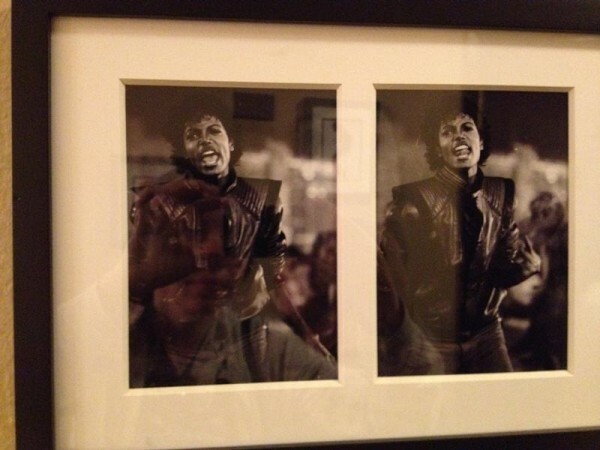 For me, it was one of the top moments I’ve ever had of closely experiencing Michael Jackson the artist. It is yet to be seen how regular and popular these tours will be in future, but I came out of there with a feeling that, open to the public or not, the place will always remain a memorial to him. I know that many people won’t be able to experience this atmosphere, so I wrote down this story hoping to share a part of what I felt there with all of you. 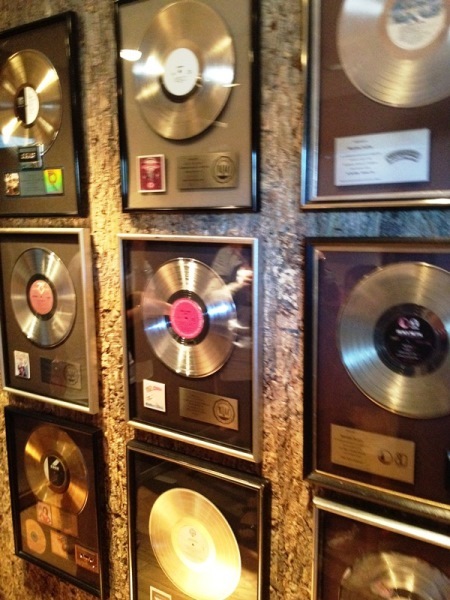 But if you have a chance to visit the studio on one of the future tours, do it. This is an experience you won’t regret. This is one of the best I have seen in a long time. Thank you so much for posting this, and how much I envy you this experience. 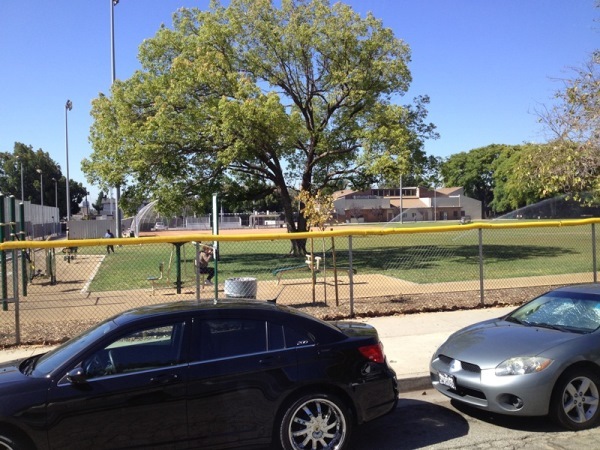 To see the park across the street which MJ mentioned in his book, for me it was so emotional. I think if I were to go they I would pass out the minute I walked thru those doors. Maybe one day I will get there, on my bucket list.